Yesterday we talked about making squash soup. A great compliment to that is mac-n-cheese. My recipes have some cross over ingredients and if you make them both at the same time – you can eliminate some dirty dishes. My Color Coded Life tip: chop onion and grate cheese the night before. So, if you made the soup – you already have made the noodles and bacon …so skip ahead! Cook bacon in a pot or dutch oven and set to the side. 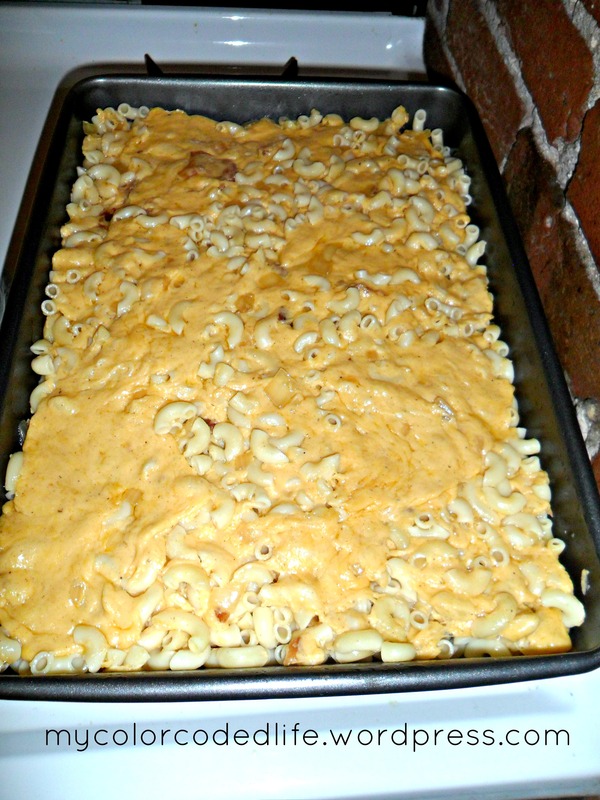 Cook elbow macaroni, drain, and pour into a 13 X 9 pan. 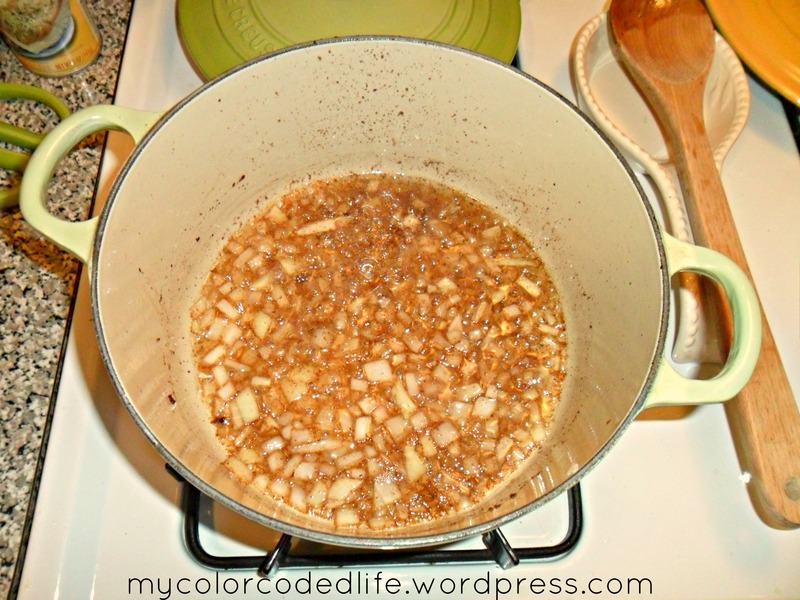 Saute the chopped onion in the bacon drippings. Add garlic powder. When it bubbles add shredded cheddar and gouda. Stir until it’s creamy. 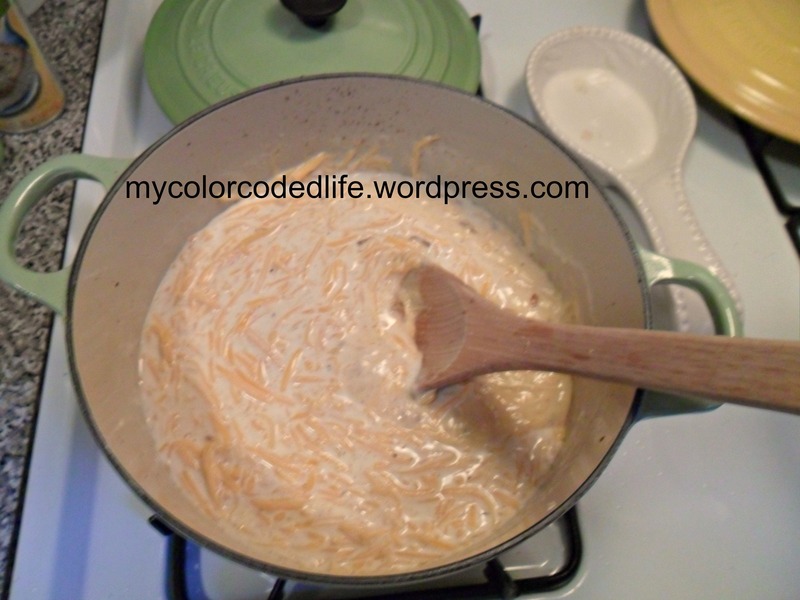 Pour the mixture over the noodles and distribute evenly. Shake parmesan cheese over the top. Preheat oven to 400 degrees. Cover pan with tinfoil. Bake for 30 minutes. This was the main course I served at the dinner party. I also made a side of green beans. I’ll post that recipe later this week! 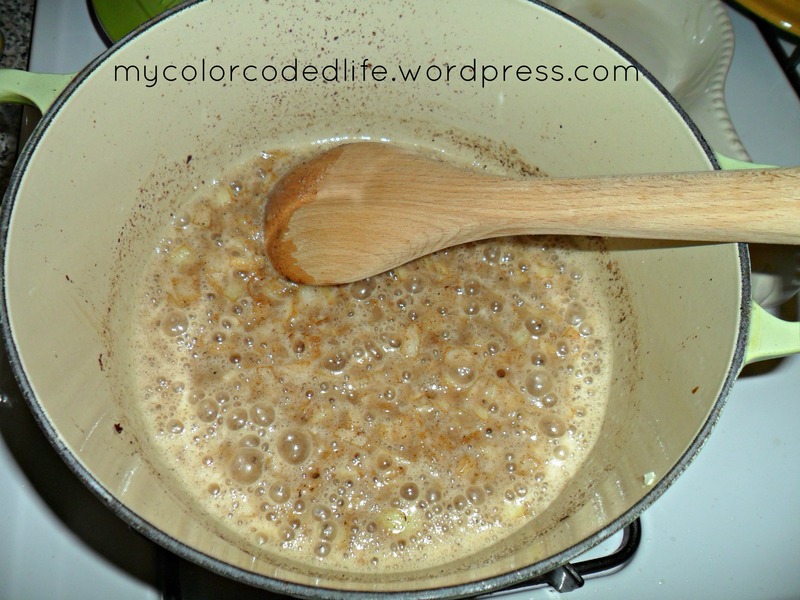 Hope you try this recipe out – if you do leave me a comment and tell me what you think! Thanks for reading!